Security gates are essential for any commercial or industrial site as well as many housing estates and communities. When it comes to manufacturing robust aluminium gate security, Suncoast Fencing have your back! Our team of fencing experts manufacture high quality aluminium fencing solutions that are powder-coated in-house at our Woombye factory. Our team can truly design products to suit any project or size. All items are made to suit your home or business requirements, and thanks to our systems and advanced machinery, there’s no project too big or small. Our team works hard to always ensure you’re getting exactly what you need and they have the experience to advise what might work best for your situation, whether it be commercial or personal. 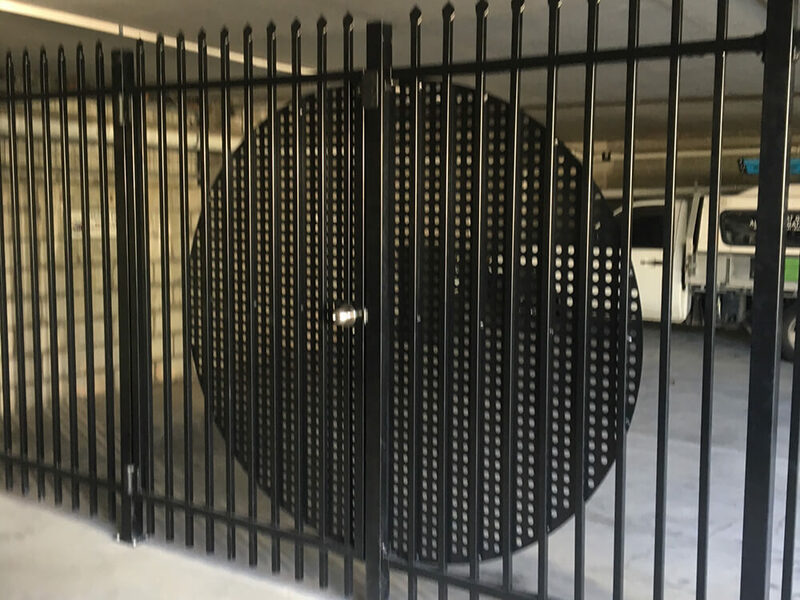 We have the know-how to manufacture single sliding security gates up to 7 metres wide and 2.1metres high, as well as dual sliding security gates to suit driveways of up to 14 metres wide. At Suncoast Fencing we also offer heavy duty swinging gate systems and powerful automation to suit larger scale gate systems. We’re here to prioritise the total security of your home or business space with our high-quality and durable aluminium fences. Our fencing experts can help you right the way through the process, finding the best solution to fit your needs. All of our aluminium fencing solutions are wonderfully low-maintenance and durable in harsh weather, unlike many other fencing metals, aluminium is naturally resistant to corrosion, and of course – it looks great!